It’s freezing here! Not snowing, because sadly the salt in the air stops that from happening, but freezing all the same. It’s the kind of cold that has your fingers screaming for mercy the second you leave the house and your stomach constantly growling for more food! 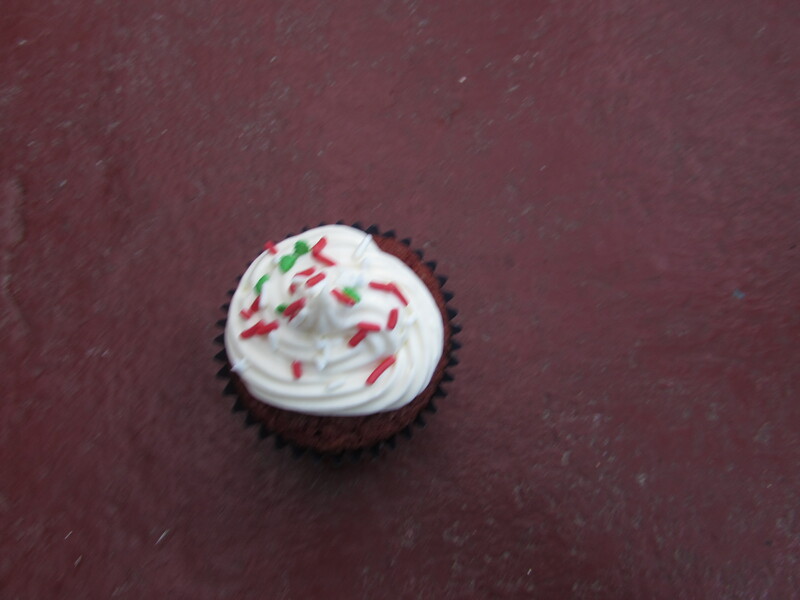 So in the midst of this cold weather I decided that the perfect antidote would be a rich cupcake that, though Christmas is officially over, would keep some of the spirit alive. Hmmm, what jumps out? 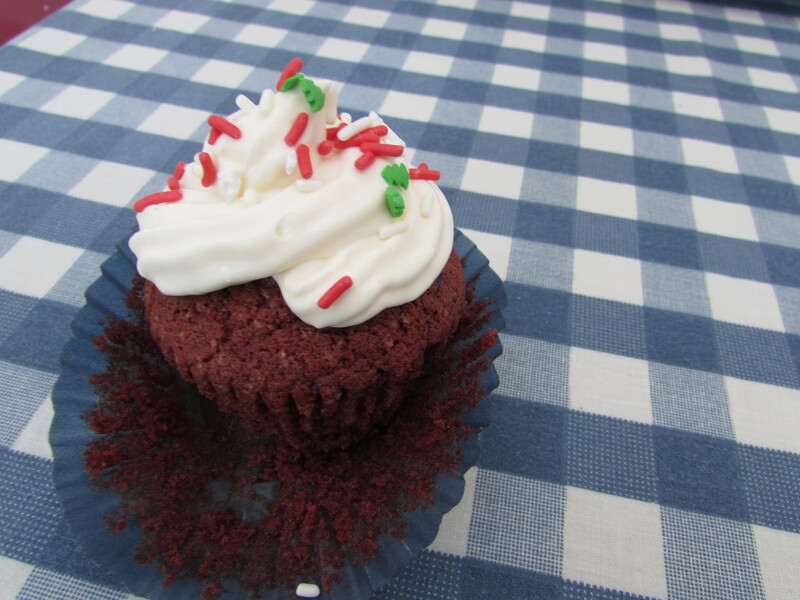 A RED VELVET CUPCAKE of course!!! 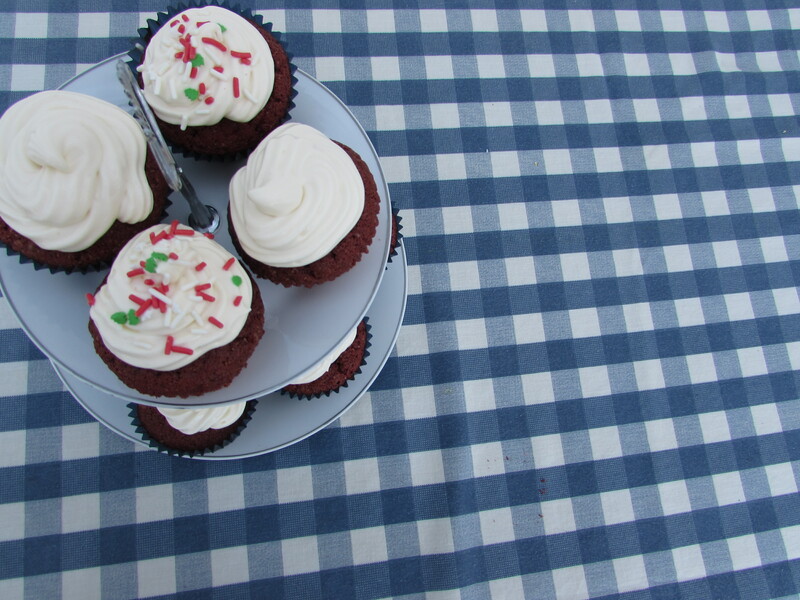 Now these cupcakes don’t necessarily have to be Christmassy. If you’re one of those people who, on the 6th of January when the decorations come down doesn’t want to have to think about, in my opinion, what is the best time of year until next December, you can always omit the sprinkles. 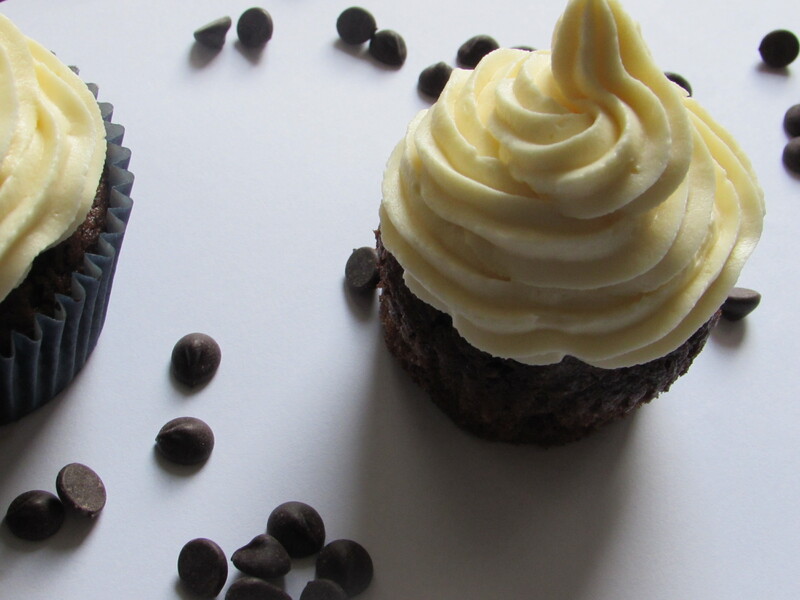 These cupcakes are just as good without them! 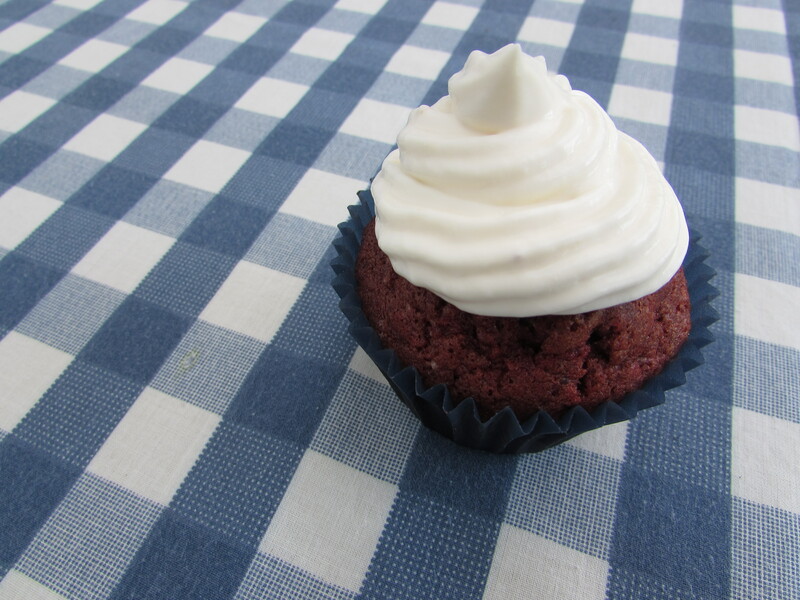 So here’s the link to the recipe I used for the cupcakes themselves. I just know you’re going to love them! They were a massive hit here. 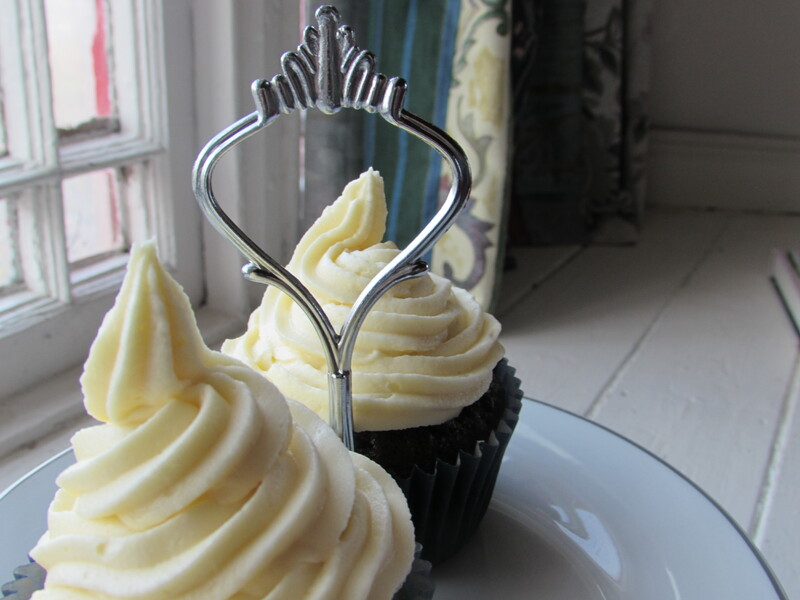 As you can probably tell from almost everything I’ve posted so far, I’ve been veering away from frosting. The sky high towers of sweet,buttery, creamy heaven haven’t had much of a show on this blog so far. This is mainly because I know that once I’d taken a single bite off the top of a ‘Vanilla Buttercream Frosted Fudge Chocolate Cupcake’ I’d never go back! And now I have, and I don’t think that I will. 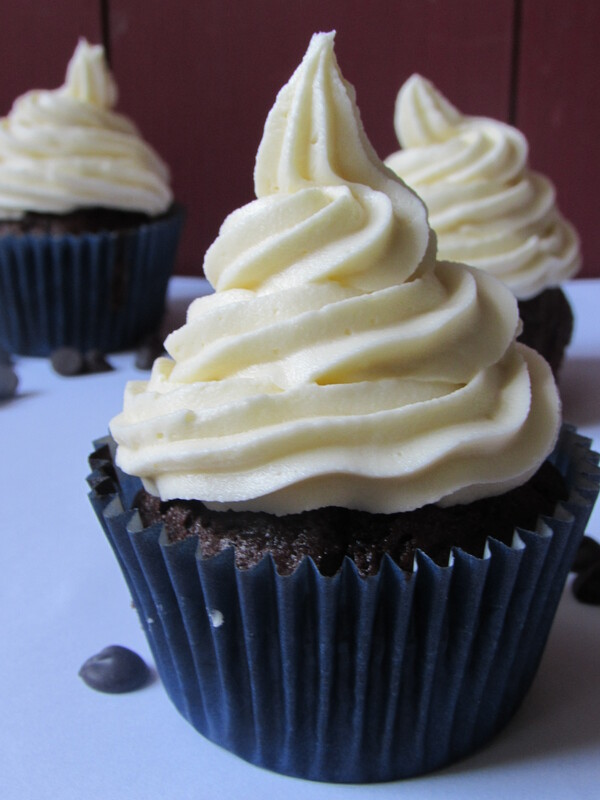 These chocolate cupcakes are SO moist! It’s almost unreal. They definitely deserve a picture to themselves. I almost felt bad putting icing on top of them. But then I didn’t! Is it just me or do these look like whippy ice-creams on a cupcake? I almost feel as though I should have put little flakes sticking out of the top! Maybe I’ll do that next time! 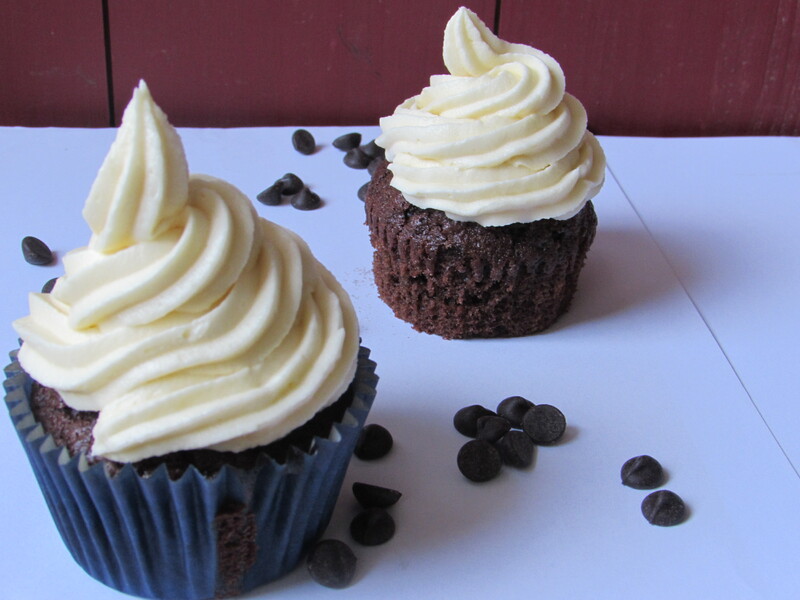 There is actually no chocolate in these cupcakes. It’s the cocoa that give them they’re perfect chocolaty taste and texture. 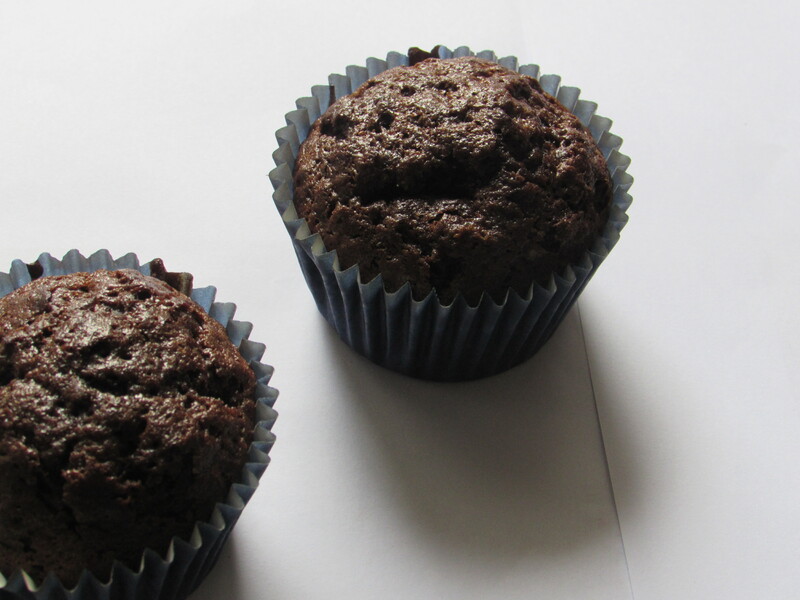 Sometimes I find that putting chocolate in cupcakes or brownies can give them a slightly greasy texture. Try and use a good brand of preferably dutch processed cocoa such as Bourneville for best results. Drinking chocolate (Cadburys etc.) 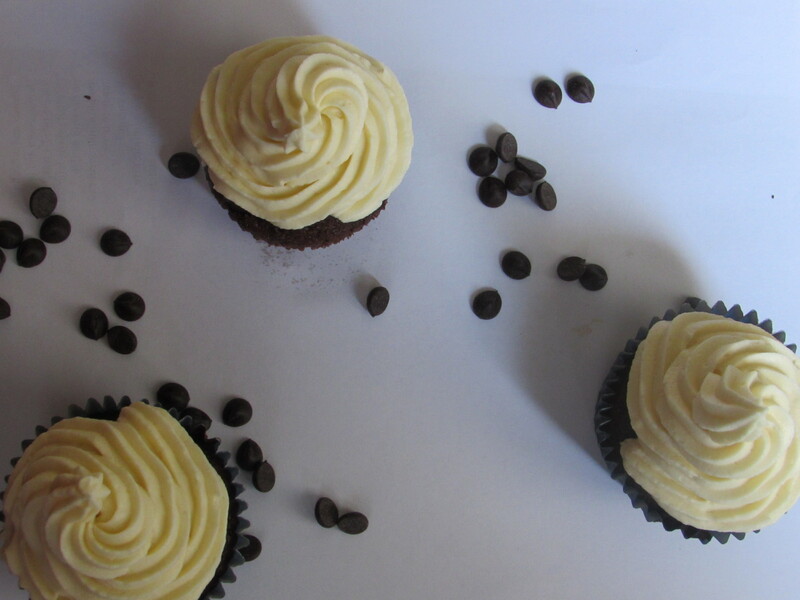 is usually about 50% sugar which will really change the taste and colour of your cupcakes. So basically, Emergencies Only! This picture here is a great example of ‘The End of the Piping Bag Conundrum’. What I mean by this is: With any icing I’ve piped from a piping bag I’ve always found that the last cupcake, or whatever you’re using the bit of icing at the bottom of the bag for comes out wonky. I reckon it’s that there just isn’t enough icing left to pull it off smoothly. And that would be perfectly fine if every time I took the nozzle out of the piping bag there wasn’t a good spoonful of icing just sitting there. It’s infuriating! 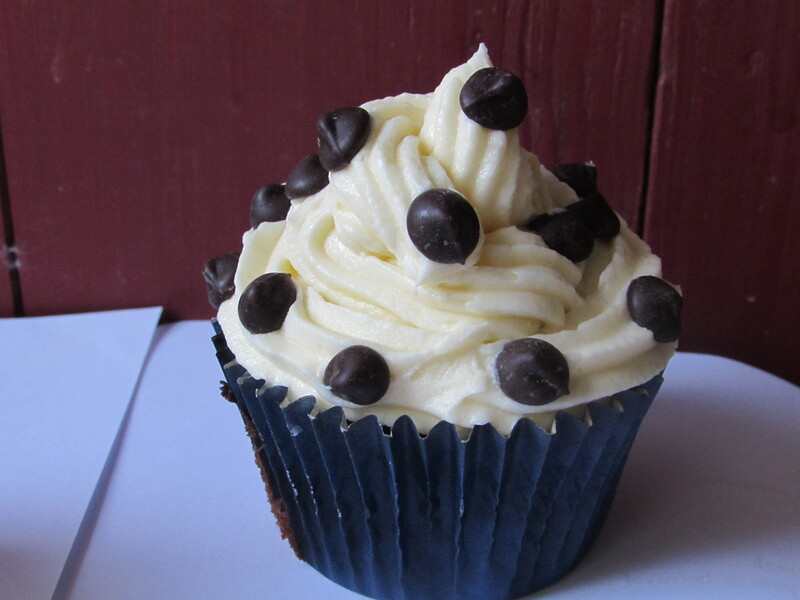 I usually just decorate the cupcake with something to take your eye off of the blobby mess underneath, chocolate chips in this case. Any comments or solutions would be appreciated!